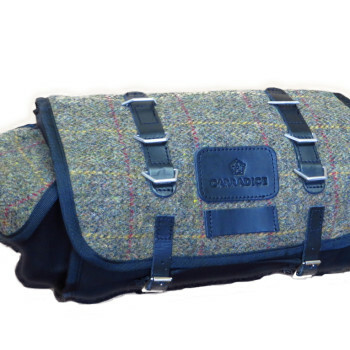 Constructed of durable waterproof Cotton Duck! This is a great choice for your commute! Features 6 metal D-ring strapping points on the lid for fixing a jacket along with two handy pockets for organizing your gear. Includes hard wearing chrome leather straps with metal roller buckles. 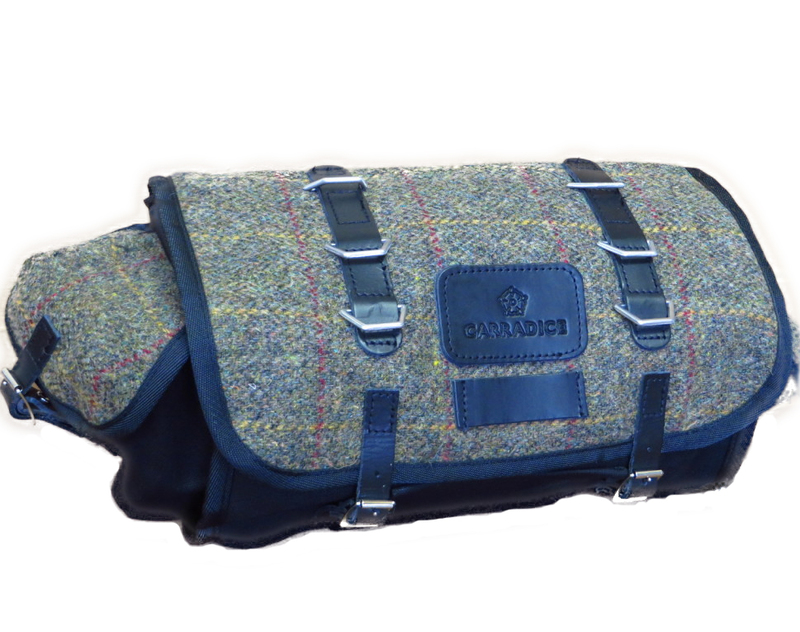 Exclusive, limited edition tweed front and side pocket flaps.